Singapore, so punctilious about its tidy streets that it bans chewing gum, meets even mild disruptions of public order with serious reprisal. In 2010, a man was caned and then jailed for seven months for spray-painting a subway train. 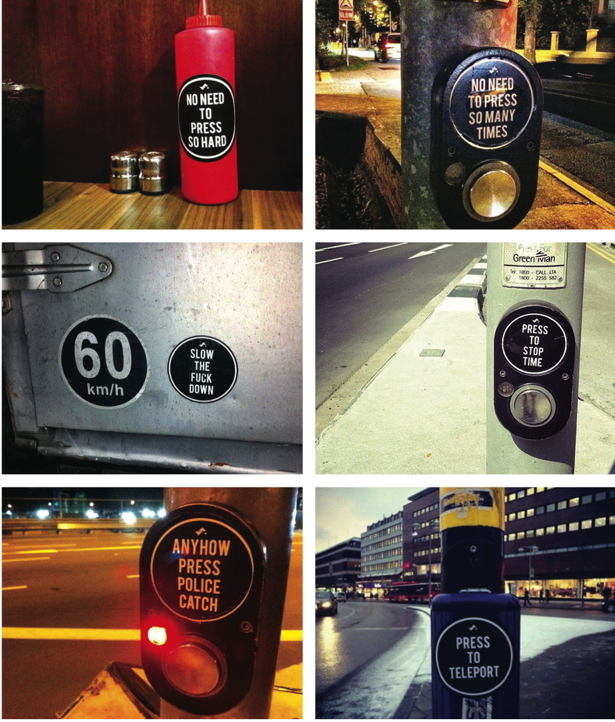 Early this year, a mysterious vandal began applying stickers to traffic-light buttons and stenciling on pavement. Whimsy? Protest against a repressive social order? Whatever it was, the authorities refused to tolerate it: the woman believed to be “Sticker Lady”—a blogger and artist named Samantha Lo—was arrested and faces up to three years of jail time.